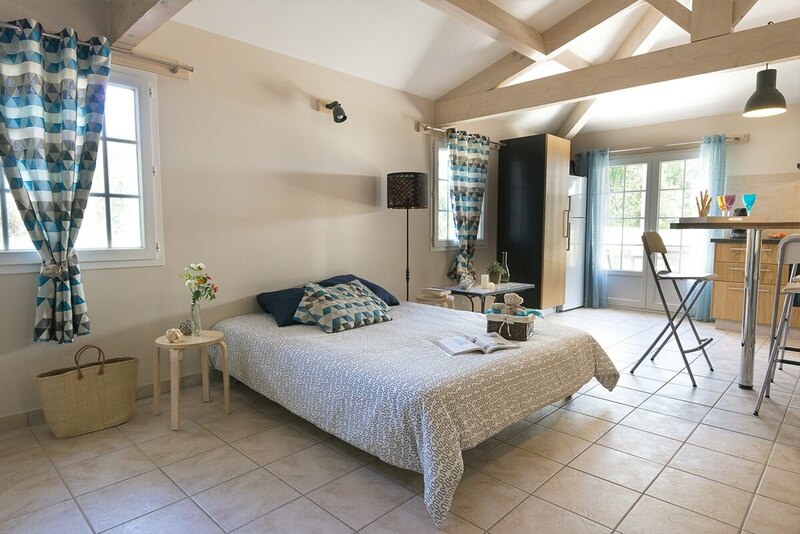 A holiday apartment in lush greenery, away from the bustle of the Côte d’Azur! 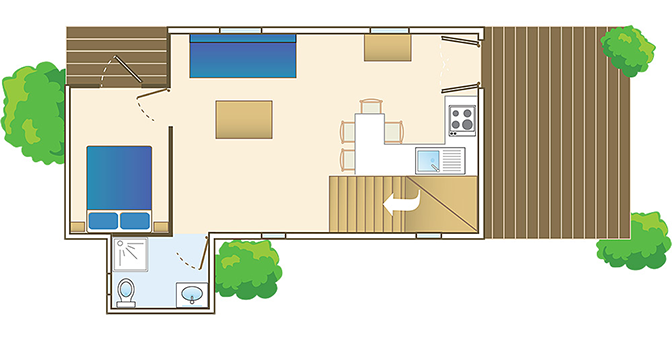 Located on the second floor of the central building of the 3-star campsite Camping Olbia, the 2-room apartment (48 m²) with 2 terraces (with a total surface area of 23 m²) can accommodate 4 people. 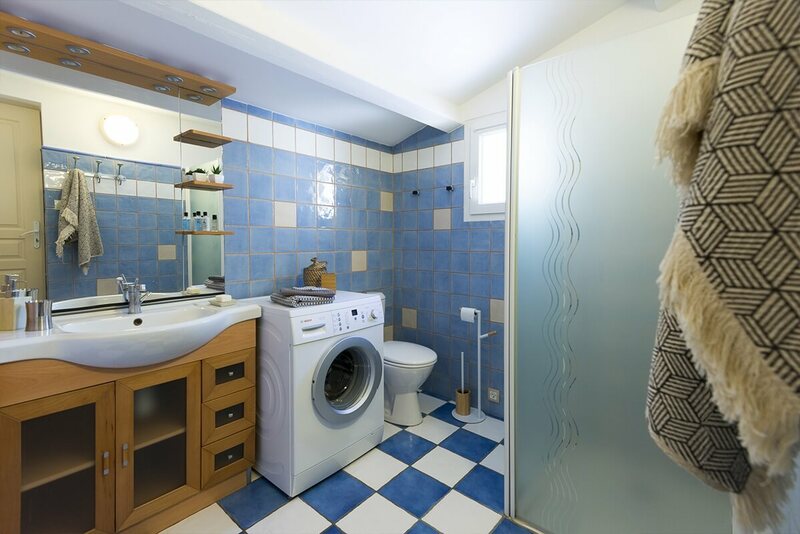 It has an equipped kitchen, a shower room with shower, toilet and washing machine. With family or friends, the apartment sleeps 4; one bedroom with 2 single beds, and a sofa bed (double) in the living room. For your comfort the rental also includes: air conditioning, TV, Wi-Fi, dishwasher and private parking for one vehicle. 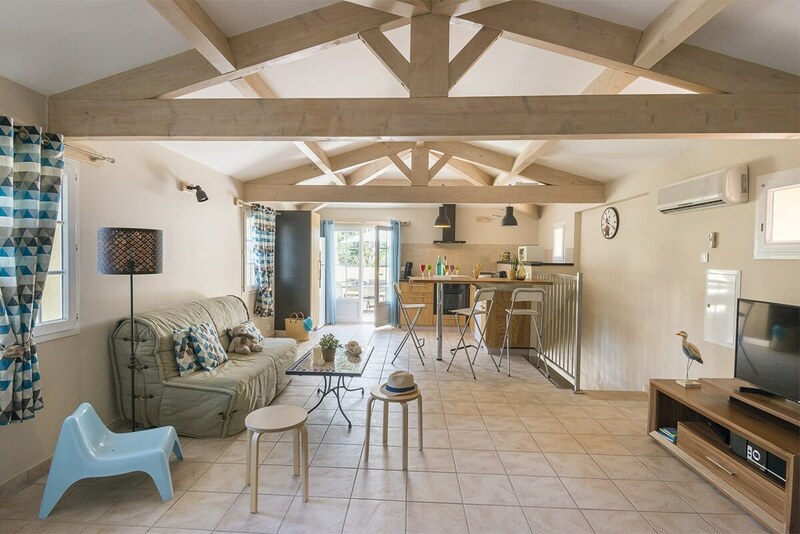 From April 6th to June 1st and from September 21st to October 8th, you choose when you arrive and depart (minimum rental 2 nights). 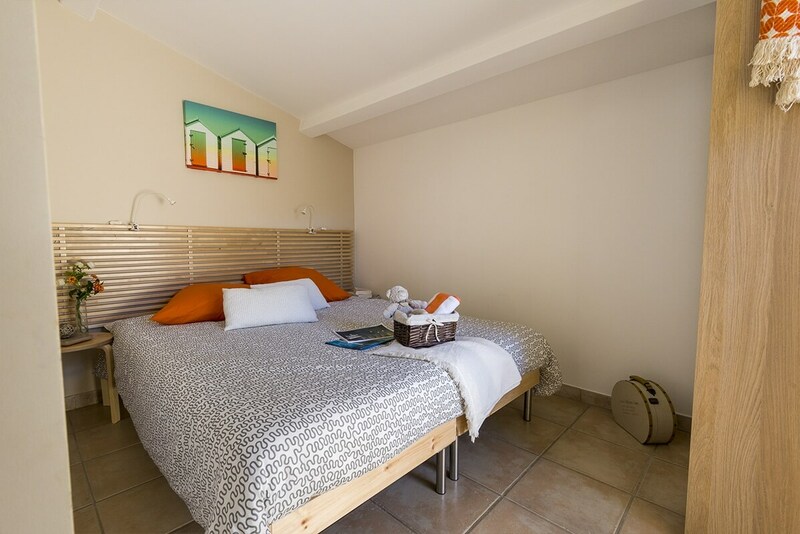 Ascension – 4 nights rental (arrival on May 29th after 3 pm and departure on June 2nd before 10 am) : €368. Pentecost – 3 nights rental (arrival the on June 7th after 3pm and departure on June 10 before 10 am) : €276.